Available in ’70s and ’80s, the Winston Stalker fiberglass fly rods were designed to fish with the delicacy of Winston’s famous “Lettle Feller” bamboo rods; which had been around since the ’30s, and first developed for small dry flies on Catskill streams. There were nine models in the Stalker series, ranging from an 8-foot, 6-inch, 4-weigh, down to the one shown in photo – a 6-foot, 6-inch rod, for a 2 or 3-weight line. They came in red poplin rod sacks, with a handsome green & gold woven emblem. I acquired the above rod directly from Winston eons ago, with two tips and an upgraded tube with brass cap. Believe me when I tell you this rod has brought me a great deal of joy over the years. This Stalker is Montana built. The e-glass blank is tobacco brown with red wraps, tipped with a few turns of clear. It has a spigot ferrule and a German silver slide-band reel seat. The grip is 6″ and fine. Seven snake guides, and a single Carboloy stripper ride the blank. Listed weight is 1.6 ounces. Add in the accumulated dirt of the decades and it now tips in at 1.9 ounces. Still, the rod is a feather in your hand. It casts a fly with just a hint of fly line outside the rod tip. 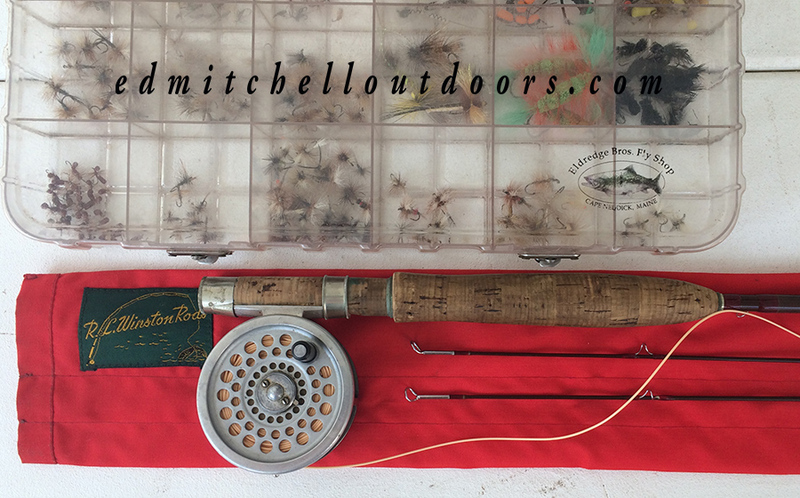 With five feet of fly line out, the rod comes alive, and delivers smoothly and accurately out to twenty-five feet and a bit beyond. It’s a joy. All of this with a 2-weight fly line. As you might imagine, this Stalker is best with dry flies size 14 on down. BWOs, Tricos, Sulphurs, small caddis, and midges, fit the bill nicely, as do terrestrials flies to match ants, and beetles. While this may sound like a limited range of application, in the right circumstance this Stalker becomes a rare gem. At dusk, when the wind drops, the water turns to glass and the match begins, my six-weight gets put away. (A Winston “glass” rod as well.) Now in the failing light the Stalker appears to drop dries with the softness of misty rain. PS Interested in looking at other Winston “Glass” rods? Check out the links below. 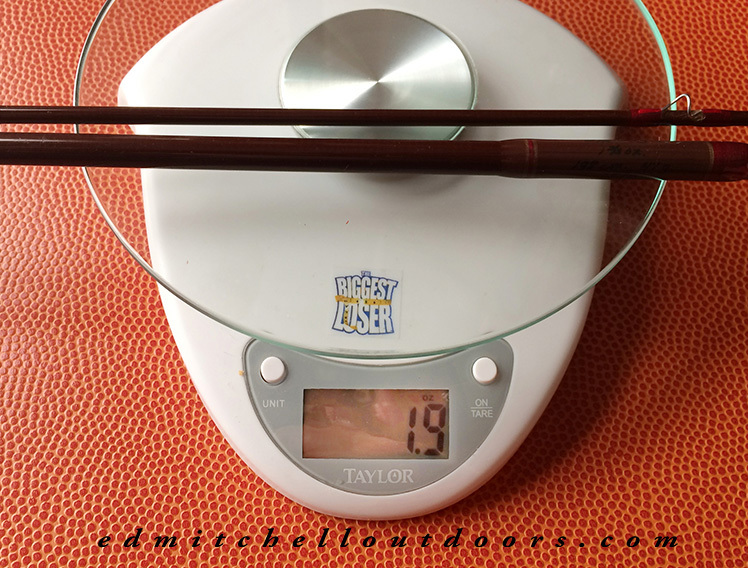 This entry was posted in Fiberglass Fly Rods, Fly Fishing in Freshwater, Fly Rods, Gear. Bookmark the permalink.